Employers would retain their right to enforce drug-free workplace policies under the latest version of a bill to legalize, regulate and tax recreational marijuana. The bill was approved by Senate and Assembly committees Monday night and is now in position for a vote by both houses of the Legislature, possibly as soon as March 25. The “New Jersey Cannabis Regulatory and Expungement Modernization Act” (S-2703/A-4497) would make it legal for adults 21 and over to possess up to 1 ounce of marijuana, but employers would still be allowed to prohibit employees from being under the influence or bringing the drug to work. Last week, that provision – which NJBIA strongly advocated for – was temporarily removed from the legislation as part of a drafting error. It was reinstated soon after NJBIA expressed its concerns. Gov. Phil Murphy is expected to sign the marijuana legalization bill, should it reach his desk. The governor’s FY 2020 budget forecasts $60 million in tax revenue from legal marijuana sales, which would be taxed at $42 an ounce. The Assembly Appropriations Committee and Senate Judiciary Committee voted 6-1 and 6-4, respectively, to release the legislation and advance it to the full Assembly and Senate for a vote. The two committees also approved bills that would expunge the records of people previously convicted of minor marijuana offenses and expand the state’s medical marijuana program. 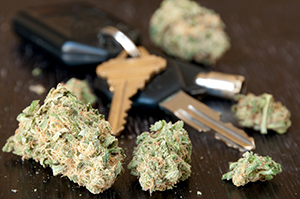 Without an easy means of testing an employee for marijuana use, accidents will increase and someone’s going to have to pick up the cost, both in lost work productivity and injury related expenses. Marijuana users should be held to a higher standard of accountable liability if they hurt themselves or others, since they’re choosing to place themselves in a relaxed state of culpable carelessness. It should not be allowed to trickle down to business taxpayers. Agreed. What will the legally defensible criteria be to send an employee for testing? At whose expense? Must the employee be paid for that time? Is the smell of marijuana enough to send an employee for testing, send them home – or fire them? Are red eyes an indicator of pot use – or just allergies? How will employers be protected from claims of discrimination or wrongful termination? This will be a tremendous strain on small businesses that don’t have the resources to perform proper drug testing. Another way of Gov. Murphy to stick it to small businesses. This should have never been a bill but a referendum because majority of NJ doesn’t want this legalized. An extremely bad idea just for the purpose of collecting more taxes. Recent polls (APP) show the public does favor legalization. Like it or not (and I fall in the Not category) a huge percentage of the population uses marijuana illegally now, including at the workplace, sometimes through edibles or vaping not outright “smoking pot.” Alcohol is a worse drug than marijuana for your health and the potential of being addicted or abused but it easier to tell when an employee has been drinking. I expect it will be legalized, and appreciate the NJBIA for making sure employer protections were included in the bill. This state is just seemed to be wrapped up in the “Pot” everything. As I read all the NJ business related articles and magazines all I see is how many people are now “registered for use” mergers in companies from California and so much more. Articles on NJ Business features one of two items “Pot or how to rip off and lie to new people to make them move their business or start one in NJ. In any case failures through the years by governors and State leaders do not bode well for what once was a great state.